It was back to school for the kids on Tuesday… We had a busy March, with 5704 golfers enjoying their time at Stellenbosch GC. I was looking forward to taking it a little slower in April, but after looking at the calendar, it looks like we have another bumper month ahead. Please note the course and clubhouse will be closed on Good Friday, 19 April 2019. We are welcoming seniors from around South Africa during the week of 8 to 12 April when we host the SAGES National Championship. On behalf of Stellenbosch GC I would like to welcome all the players and wish them a memorable and enjoyable week in the heart of the winelands… for the members reciprocity has been arranged at the following Clubs. On the corporate golf day side we are welcoming BUCO on Thursday this week and on Friday we are hosting the Consultants Cup, with the Mayoral Golf Day taking place on the 25th of this month. In the end that equates to 16 events taking place in 29 days during the month of April. Yip it’s definitely not going to be that quiet and we love it! 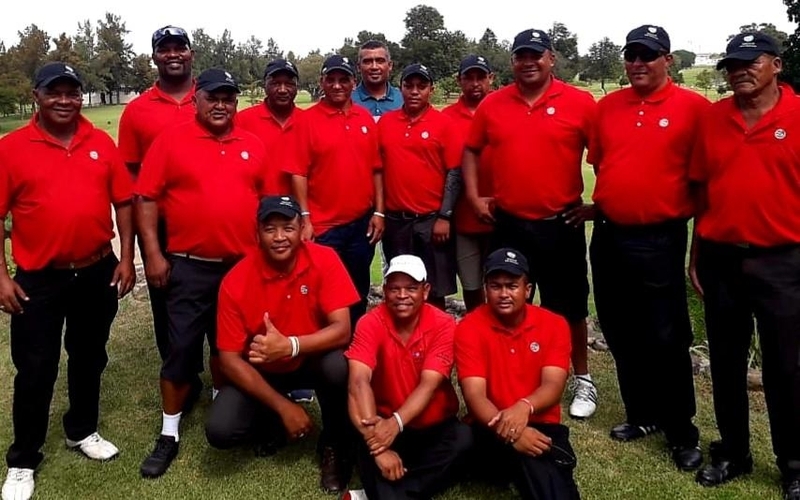 The 2nd round of the NASHUA Winelands Challenge took place on 20 March and yet again it was well supported and greatly enjoyed. Winning the day was Poen & Suzette Olivier on 74 points, who visited us for a practice round before the SAGES tournament. In second position was the dynamic duo of Christiaan Laubscher & Kobus van der Merwe with 72 points. Still leading after the second round is the father and son combination, Pieter van Coller and Cedrick van Coller with 154 points. It’s tight at the top and a lot to play for and the best about this wonderful format is it’s easy to get back in the game quickly. 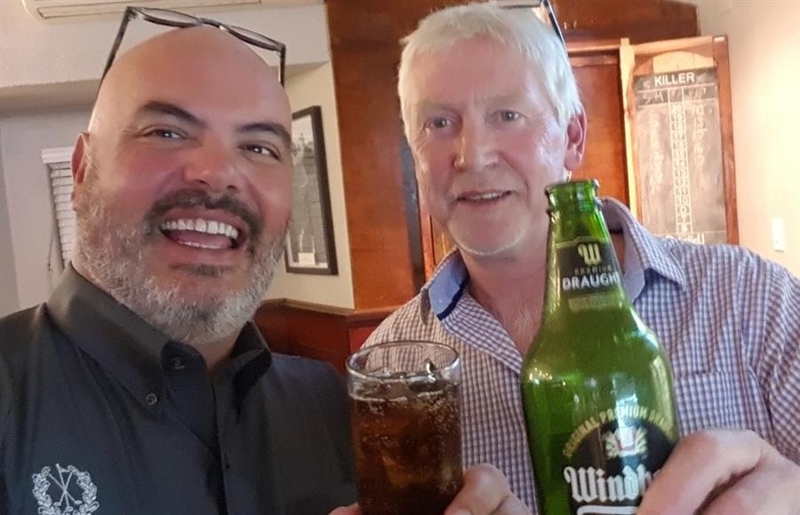 Once again, I would like to thank Stafford Harding for the continuous support and at the same time cheers to Justin for buying everyone at prizegiving a round of drinks after his win at the Qatar Masters – CHEERS! Cheers Justin – enjoying one with Pops! The rest is history and I am happy to announce that it was Generation X who was crowned the champions in 2019. Congratulations to all of them and thank you to all the members and friends of Stellenbosch GC who came out to support this wonderful event. 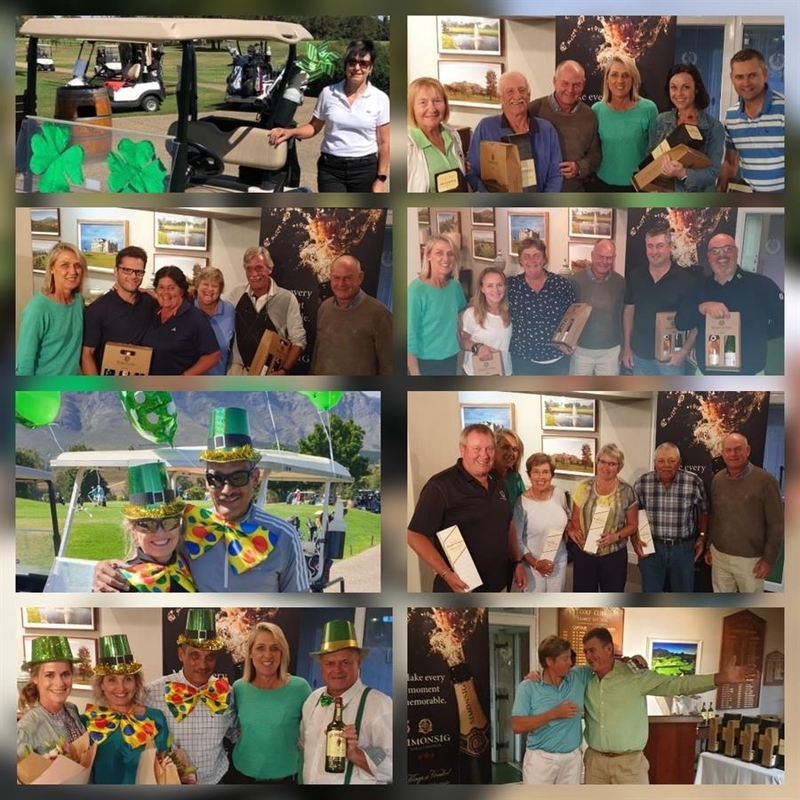 Is golf not just the most special game in the world, we get to host so many golfers annually at the club, but it’s always a pleasure welcoming the caddies from Fancourt, as they enjoyed a round of golf at Stellenbosch GC on their annual golf tour. All smiles after the round – hello Fancourt! It’s been a whirlwind of travel the last couple of months during our Monthly Mix Competitions. We teed-off in Mexico in January, then popped over to Mauritius for February and in March we headed to Ireland. Our March Mix Competition was sponsored by Simonsig Wines, proudly wine of origin, situated in Stellenbosch and is a family owned farm. It was great to welcome Francois Malan at the prizegiving and listen to their lovely success story. As I always say – keep supporting the sponsors like they support us. St Patrick's Day was a big success! With our Irish theme it was green all around the course with the golfers getting into the Irish spirit by dressing for the occasion and I loved it. Having a best dressed prize does help, I think! 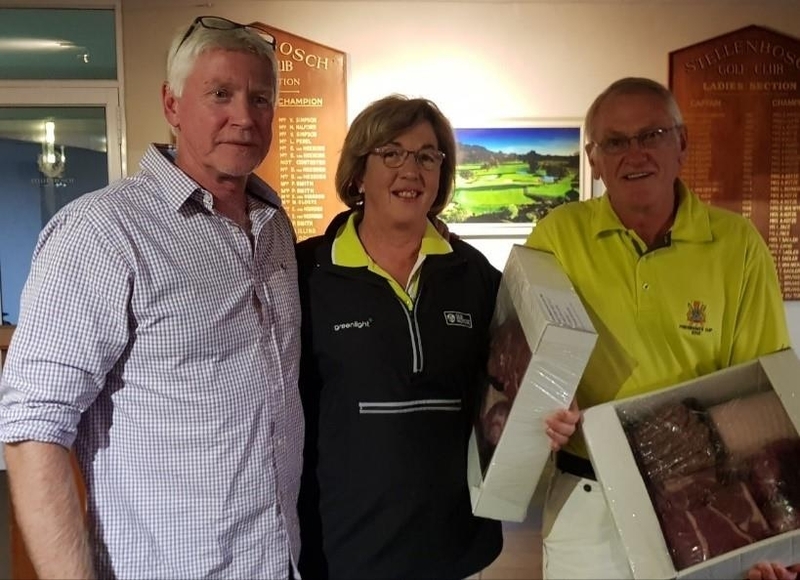 Winning the day on 98 stableford points (all scores to count on the 17th) was the Fourball of Stephen Weber, Ine Weber, Fritz Wirth and Noreen Sturrock. The evening continued in true Irish spirit with Chef Gerhard serving cottage pie and the players in the bar making such a noise that they could almost be heard in Ireland – OOPS! Are you ready for the Majors? Where to next? Well there is only one place to be in April and that’s in the United States of America in the small town of Augusta, as they host one of the biggest golfing events of the year, The Masters. Keep watching this space as we will be announcing a few special events and competitions closer to the time. For now, all the best for the Texas Open Justin and from all of us, congratulations!